Peterside said this during the defence of the Agency’s 2016 budget before the Senate Committee on Marine Transport. He explained that the strategy will be built on three core pillars of achieving safety of lives at sea, protection of goods/products in voyage and securing maritime assets in Nigerian territory. In achieving this, the director general said that a multifaceted approach including cooperation and coordination among security forces of all the countries in the Gulf of Guinea was being coordinated by the office of the National Security Adviser, with NIMASA playing a key role. Other areas include a Nigerian military-led patrol of the country’s territorial waters with NIMASA providing technical support , effective use of the Agency’s satellite surveillance facility to detect illegalities in real time and the development and passage of an anti-piracy law that will strengthen the legal framework for prosecution of piracy-related offences. 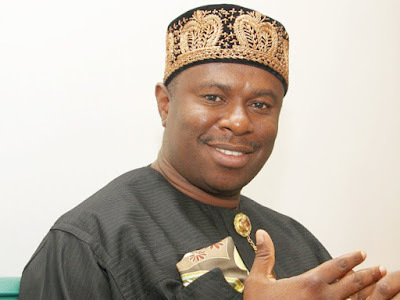 Peterside, who solicited the cooperation of the Senate Committee for the actualisation of the Agency’s mandate in sustaining safety and security in the maritime domain, also assured stakeholders that with a combination of these strategies, maritime crimes in Nigerian waters would be reduced to the barest minimum in the coming year. While stressing the commitment of the Agency to fully automate its processes under the Enterprise Resource Planning (ERP), the DG expressed his desire to integrate this platform with the systems already developed by the Nigerian Ports Authority (NPA) and the Nigeria Customs Service (NCS) for greater efficiency and productivity. He assured the Senators of the management’s commitment to ensure transparency, accountability and probity in the discharge of its mandate warning that there would be zero tolerance for corruption. In his remarks, the Chairman of the Senate Committee on Marine Transport, Senator Ahmad Rufai Sani assured the Management of the Agency of the cooperation of the Committee in order to deliver on the lofty programmes of NIMASA in 2016. He commended the director general for his commitment to reposition the Agency towards the attainment of its core mandate, saying that the Committee would exercise effective oversight on the Agency to make sure that the budgetary provisions were strictly followed. Senators Clifford Ordia, Ovie Omo Agege , Solomon Olamilekan Adeola, Abdul Abubakar Gumel and George Akume all praised the DG for taking concrete steps to reposition the Agency and pledged the support of Senate.